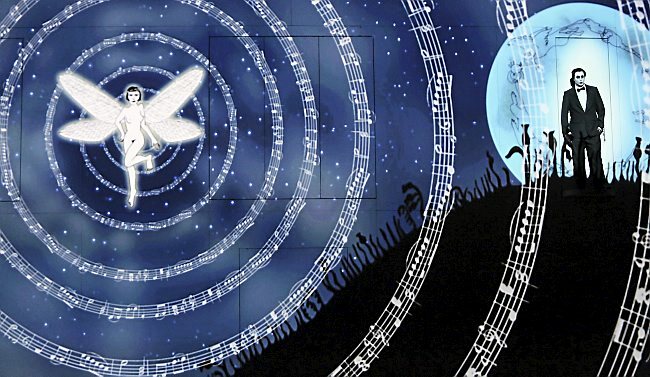 It’s been a year and a half since Minnesota Opera opened its striking and iconoclastic take on The Magic Flute. This production wowed audiences, who came in droves; at the time, the two-week run was the best-selling show in the company’s 41-year history (it was dethroned by last spring’s Carmen). Julien Behr as Tamino in the 2014 Minnesota Opera production of The Magic Flute. 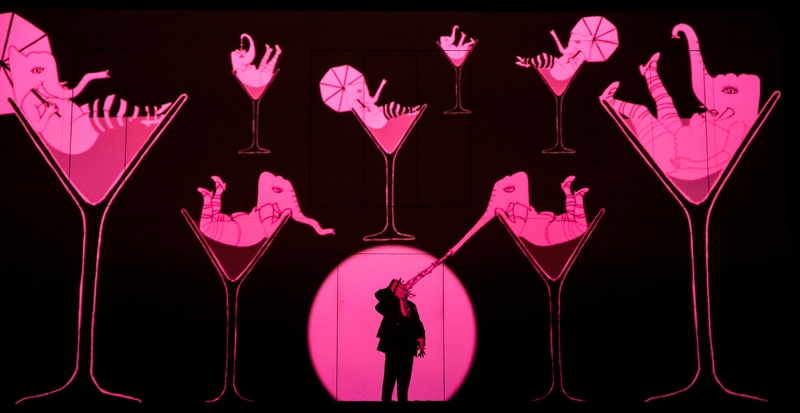 Most of the 2014 cast returned for the 2015 engagement; during the interim, Christie Conover (Pamina) continued to sing with this specific production design when Komische Oper Berlin took it on tour to China. 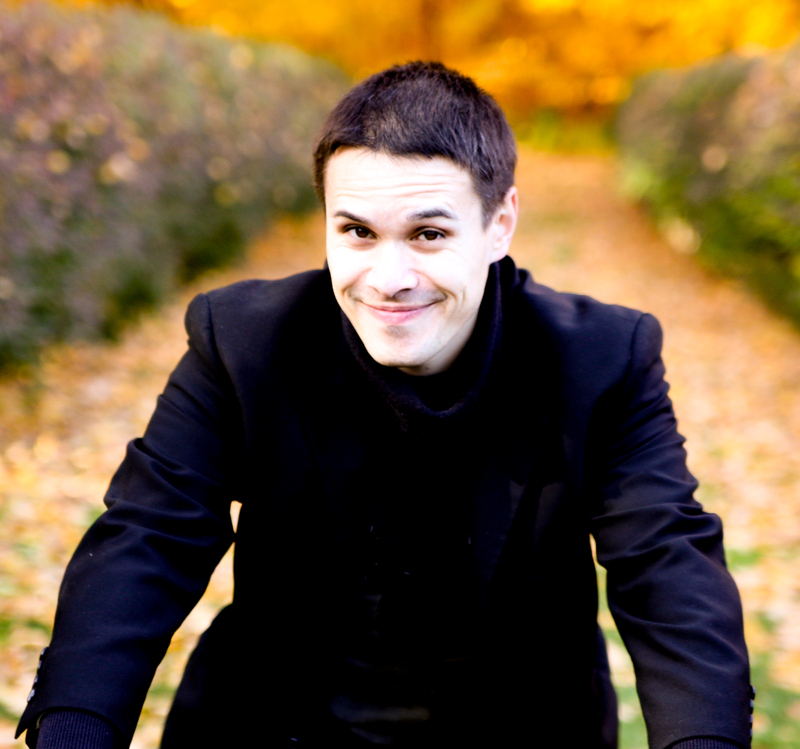 Julien Behr, a lawyer-turned-opera singer, notably returns as Tamino, and his voice is in even better form than before. (He was also a 2015 finalist in the Operalia competition curated by Placido Domingo.) At the Tuesday night performance that was reviewed, Andrew Wilkowske (Papageno) was clearly the younger generation’s favorite, with his earnest hamming and melodious baritone. This may look like a design sketch, but this is actually a still photo of MN Opera’s The Magic Flute. Andrew Wilkowske as Papageno dreams of some pink elephant ladies. Photo by Dan Norman. One of the newer additions to the roster is Jeni Houser, one of Minnesota Opera’s newest Resident Artists and the Queen of the Night. Houser’s soprano voice was clear, light, and nimble, with a pleasing ring to her coloratura as she danced through the “Der Hölle Rache kocht in meinem Herzen.” While the projections made it difficult to gauge Houser’s acting, her vocal delivery should make subscribers look forward to seeing what she does when she returns in next spring’s The Shining. 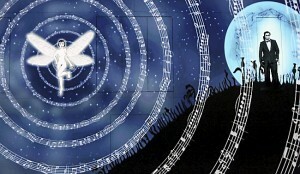 MN Opera’s artistic director Dale Johnson talks about The Magic Flute in this feature.